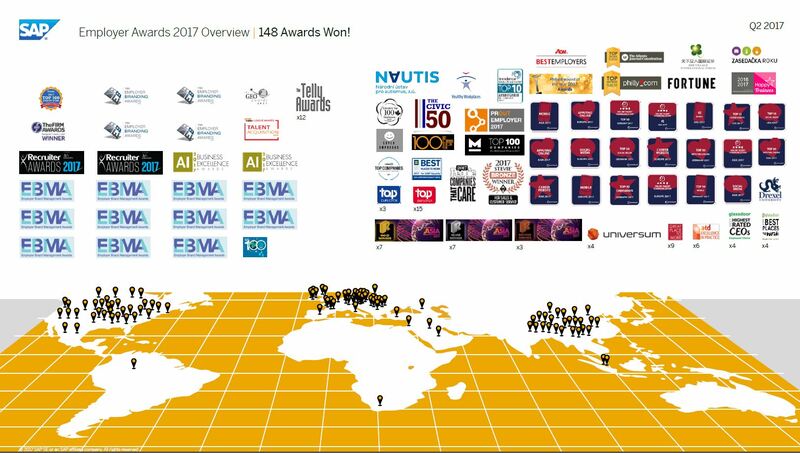 As of July 2017, SAP has been recognized around the world an incredible 148 times through various awards, certifications, and rankings. Next quarter, we are poised to surpass the 159 total awards we received throughout all of 2016. Take a look at these awards and you’ll see diversity awards, HR awards, best workplace awards, happiest employee awards, and more. SAP is blowing the competition away. SAP is pleased to announce we are among the winners of the annual Glassdoor Employees’ Choice Best Places to Work in 2017 in the U.S., U.K., Canada, as well as receiving a first-place win in Germany! Unlike other awards, there was no self-nomination process, but rather the process is entirely based on feedback from our employees who have voluntarily and anonymously shared an SAP review on Glassdoor. SAP’s CEO Bill McDermott has also been recognized as one of the “Highest Rated CEOs” according to employee feedback on Glassdoor in France, Germany, and the United States. SAP is now a Top Employer in 17 countries and 3 regions with more on the way, up from 11 countries and 2 regions in 2016, and 4 countries and no regions in 2015. The goal is to achieve a global certification by 2018. Many SAP locations are also striving for “Great Place to Work” awards with wins already in Latin America, Belgium, Ireland, Switzerland, Asia, and especially the United States for its “PEOPLE That Care Best Companies”. SAP took home a massive amount of awards at the Telly Awards (12 in total) for our video segments in recruiting, culture, and lifestyle. 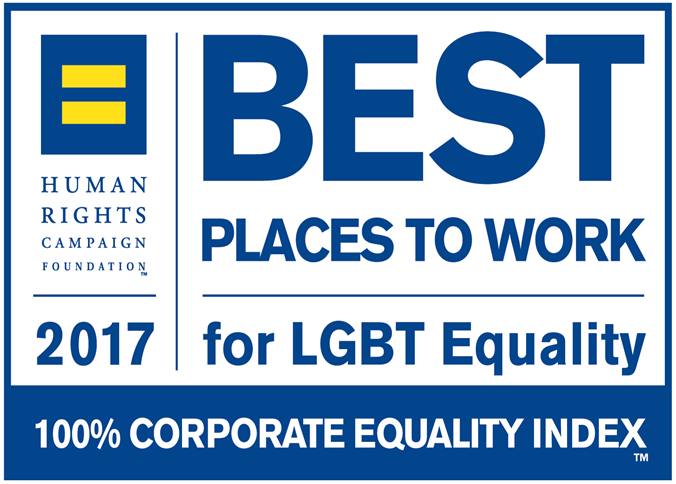 SAP also earned a perfect score of 100% for its support for LGBT employees from the Human Rights Campaign for the fourth year in a row. Other recognitions for diversity, inclusion, and equality include the “Ideal Employer – Respect for Its People” award by Universum in Singapore, “Best Employer for Women” by Her Village International Forum in China, and “Top 100 Companies for Millennial Women” by Mogul in the United States. The list goes on and on, so take a look at them for yourself on the Life at SAP Facebook page! Share with your stakeholders & feel proud.